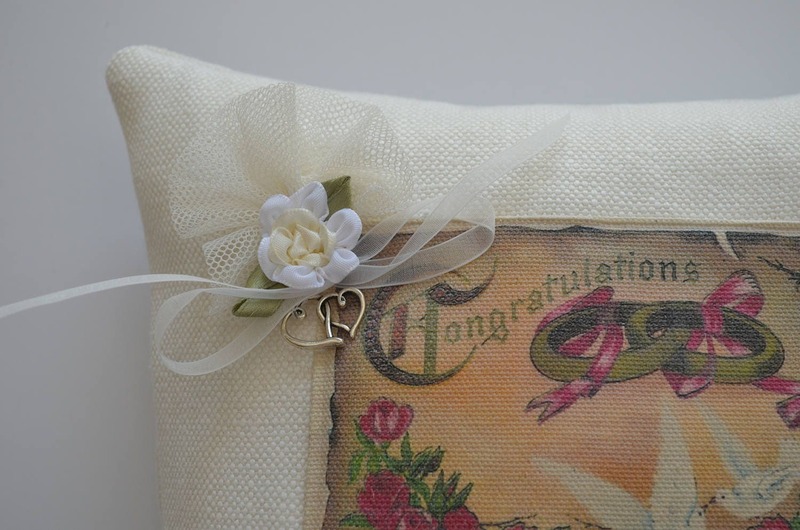 "Congratulations" ring bearer wedding pillow. The postcard image reads: Congratulations and shows 2 intertwined rings and 2 lovebirds. 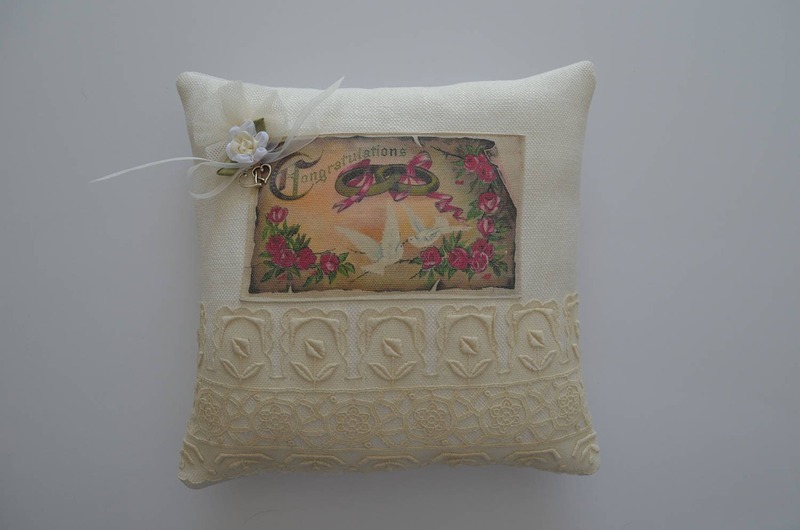 This lovely little pillow features a scanned image of a vintage wedding postcard that is from the early 1900's. We do not touch up or Photoshop our postcard images. We feel it's part of the charm for the postcards to appear "as is". 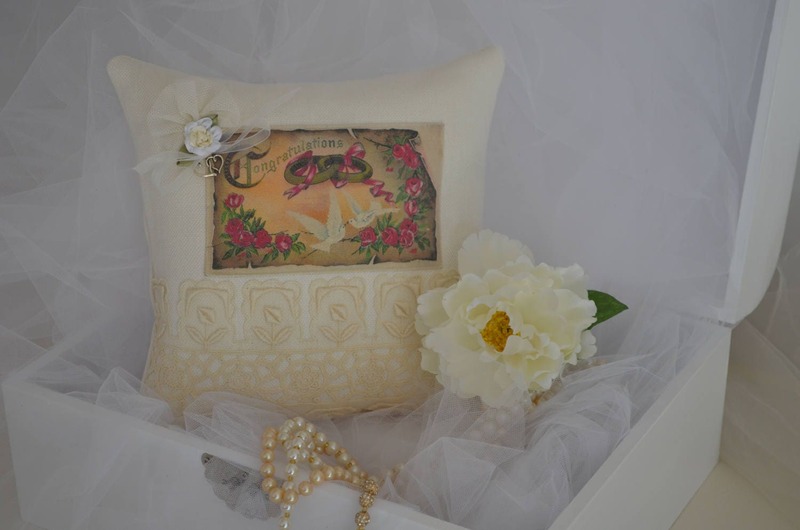 This pillow is adorned with a piece of vintage lace trim. The upper left corner of the postcard image is embellished with a piece of tulle from a vintage wedding gown. We try to repurpose old wedding gowns that we come across that are beyond repair. We feel that embellishing our pillows with such pieces continues the magic of a joyful day. The pillow itself is made from Belgian linen and measures 10" square. It is filled with a down-like poly cluster fill and hand stitched closed.